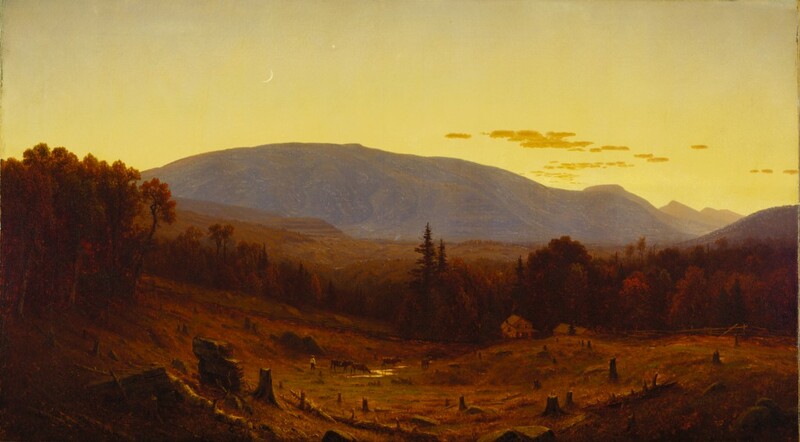 The exhibition Nature’s Nation: American Art and Environment explores ecological themes including Industrialization and environmental conservation, as well as shifts in American landscape painting. From the Terra Foundation Collection, two works are exhibited, Sanford Robinson Gifford, Hunter Mountain, Twilight and Martin Johnson Heade, Newburyport Marshes: Approaching Storm. Organized by Princeton University Art Museum, this exhibition is on view at the Princeton University Art Museum, October 13, 2018–January 6, 2019; Peabody Essex Museum, February 2, 2019–May 5, 2019; and Crystal Bridges Museum of American Art, May 25, 2019–September 9, 2019. 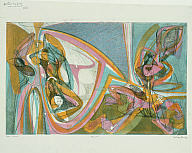 Co-organized by Museu De Arte Contemporânea da Universidade de São Paulo (MAC-USP), and the Terra Foundation for American Art, this exhibition will be the first presentation of the collection of modern American prints donated by Nelson Rockefeller in 1950, and American prints donated by the collector Lessing J. Rosenwald in 1956. Atelier 17: Modern Printmaking in the Americas includes early twentieth-century American prints, contextualized with modern prints by Brazilian artists such as Geraldo de Barros, Fayga Ostrower, and Livio Abramo who had direct ties to Atelier 17. The exhibition examines the intricate network of international exchange between artists, curators, collectors, and audiences in Brazil and the United States. 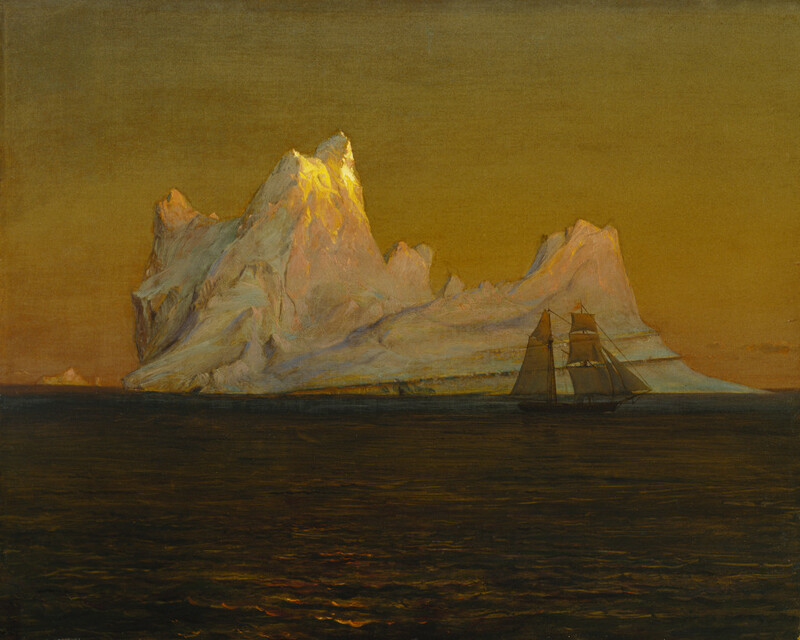 From the Terra Foundation Collection, Frederic Edwin Church’s, The Iceberg is exhibited in Documenting Change: Our Climate (Past, Present and Future), organized by University of Colorado’s CU Art Museum, Boulder, Colorado. This dialogue between American landscape painting and early scientific photography includes historical photographs from the archives of CU Boulder’s National Snow and Ice Data Center. Our Climate (Past, Present, Future) is the second exhibition in the 2018-19 series Documenting Change. The Iceberg will be exhibited February 7–July 20, 2019. Coinciding with the 200th anniversary of the birth of John Ruskin (1819–1900), an important art critic of the Victorian era, the National Gallery has brought together over 90 works, including paintings, watercolors, and drawings, by American artists who were influenced by Ruskin’s writing. Specifically, the exhibition will explore Ruskin’s significant impact on artists associated with a movement called “American Pre-Raphaelitism,” which peaked between 1857 and 1867 and included American artists such as Thomas Charles Farrer (1839–1891), John William Hill (1812–1879), and Robert J. Pattison (1838–1903). The exhibition will showcase the group’s richly detailed figural compositions, landscapes, and still-life paintings. Featuring over 100 key works, this exhibition will illuminate Alexander Calder’s (1898–1976) disruption of the conventional hierarchies and boundaries of fine art. This comprehensive exhibition will follow the breadth of Calder’s work through a variety of media, including sculpture, drawing, performance, and jewelry. His art will be complemented by films, photographs, and other documentation that will demonstrate the artist’s unique inventions and situate his works in their contemporary settings. 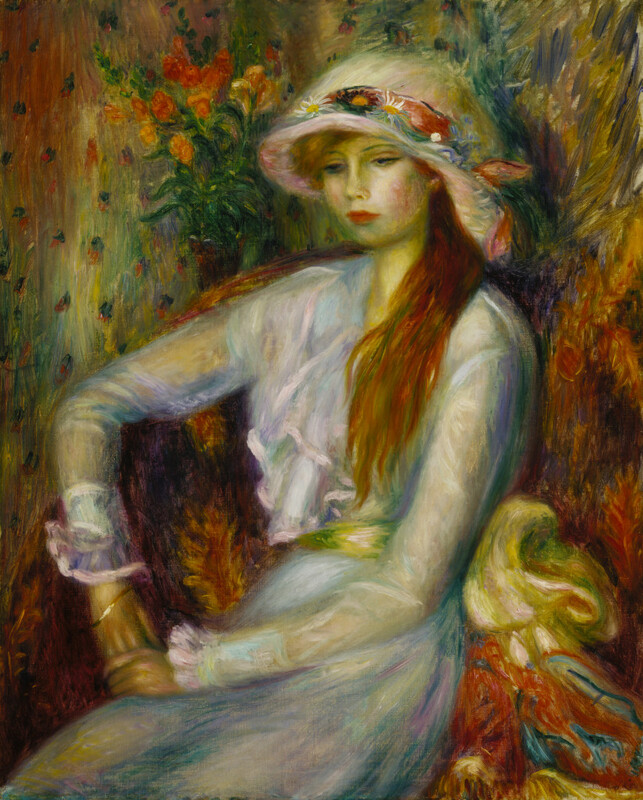 This exhibition was previously at Montreal Museum of Fine Arts and will travel next to the Smithsonian American Art Museum (September 13, 2019–January 12, 2020). This exhibition explores how American artists responded to international conflict during the 1960s and 70s, and how art about the Vietnam War influenced contemporary artistic practice. Works in a variety of media—including painting, sculpture, print, performance, and body art—reveal how artists engaged with ideas of conscience and civic engagement. Art by Dan Flavin (1933–1996), Leon Golub (1922–2004), Philip Guston (1913–1980), Donald Judd (1928–1994), Edward Kienholz (1927–1994), Faith Ringgold (b. 1930), Martha Rosler (b. 1943), Peter Saul (b. 1934), Nancy Spero (1926–2009), and others illustrates how artists addressed violence, power, vulnerability, empathy, sacrifice, mourning, and resistance. Co-organized by Ludwig Forum für Internationale Kunst (Ludwig Forum) and the Museum moderner Kunst Stiftung Ludwig Vienna (mumok), Pattern and Decoration: Ornament as Promise provides a comprehensive survey of the Pattern and Decoration movement (1975–1985) in the United States, which emerged among artists committed to feminist causes. This exhibition features works with wallpaper-like patterns, decorative ornamentation, and aggressively colorful compositions. Optimistic and progressive, Pattern and Decoration questioned traditional notions of art while also broaching larger sociopolitical themes in the global art scene. This exhibition was previously at Ludwig Forum.